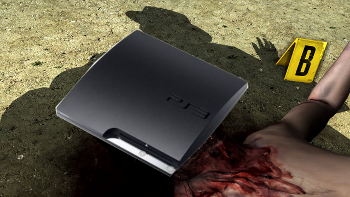 Sony says Rockstar Games wrongly accused the 3.61 firmware update of overheating PS3 consoles during play of L.A. Noire. According to reports, a small number of users playing Rockstar Games' L.A. Noire were having issues with their PlayStation 3 consoles overheating and shutting down. Rockstar blamed the issue on Sony's recent PS3 v3.61 firmware update that came with the restoration of the PlayStation Network. Now, Sony is saying it's an issue with the game itself and not the PS3's firmware. Sony told Edge "unequivocally" that there are no issues with the 3.61 firmware update. Rockstar said it had confirmed with multiple games that its very own PS3 consoles were overheating or freezing only when 3.61 was installed, primarily with older 80GB and 60GB models, but has since retracted its statement (available through cache here). "As with the release of any System Update, we will invariably see a very small number of users whose console has failed following updating their console, which is an unfortunate coincidence," Sony said. "Rockstar have now updated their FAQ on the matter, have admitted that it is a fault with their latest title L.A. Noire and have offered a workaround." "It should also be noted that the issue with this title is not PS3 specific and is also affecting other consoles," Sony added. Rockstar's support page now features instructions for owners of both the PS3 and Xbox 360 that experience issues while playing L.A. Noire. Rockstar Games either jumped the gun on the issue, or Sony challenged its evidence and laid the smackdown. If you've picked up L.A. Noire, just save as often as you can and keep an eye on your console so you don't have to solve its murder too. *Update*: Sony and Rockstar have issued a joint statement on the PlayStation Blog that "confirms" neither L.A. Noire nor the 3.61 firmware update are causing PS3 consoles to overheat (nor Xbox 360s?). Whether that's a load of malarkey or not is unsure, so stay vigilant during your interrogations and contact Sony or Rockstar support if you face any issues.